With more than 10 years of experience in accounting, auditing & finance, Rosa Afonzo brings to Axelia Partners’ clients an in-depth understanding of various audit standards and accounting principles, including international and U.S. ones. Her strong accounting and financial skills enable her to manage bookkeeping, account payable & receivable, and payroll processing efficiently for her accounts, while also preparing and consolidating financial statements with the highest standards. 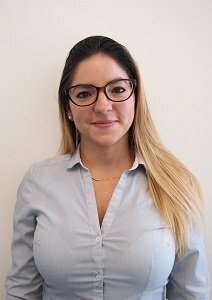 Rosa joined Axelia Partners in 2016 as an accountant and was recently promoted to Assistant Account Manager. Prior to Axelia Partners, she was an account manager for a private company in Caracas, Venezuela, and also worked for KPMG Caracas as an external auditor. Rosa is a Certified Public Accountant (CPA) in Caracas, Venezuela and a CPA candidate in the state of Massachusetts. She holds a Bachelor’s Degree in Accounting and a Certificate in Taxation from Universidad ‘Santa María’ in Caracas, Venezuela.